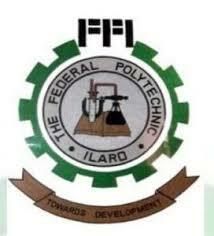 The Federal Polytechnic, Ilaro [Ilaro Poly] Full Time and Part-Time (Weekend) Higher National Diploma Admission Form, Courses, Application Guidelines, Screening Exercise Date and Requirements for the 2018/2019 Academic Session. Departments: Accountancy, Banking and Finance, Business Administration & Management and Marketing. Duration of all programmes: 6 Semesters in 24 calendar Months. The Registrar, The Federal Polytechnic, Ilaro. NB. ALL CANDIDATES ARE EXPECTED TO UPLOAD CLEAR AND READABLE COPIES OF THEIR CREDENTIALS. CANDIDATES WHOSE UPLOADED CREDENTIALS ARE NOT EASILY READABLE WOULD FORFEIT THEIR ADMISSION. (i) National Diploma not below Lower Credit (with CGPA not less than 2.50) and basic requirements for the National Diploma Programme in the applicant’s discipline; However, candidates with PASS may be considered for HND Weekend programme after a minimum of two (2) calendar years of relevant post National Diploma (ND) Industrial experience. (iv) Minimum of One Calendar year Post National Diploma relevant Industrial Experience. ascertain their qualification for courses for which they are applying. Candidates should not register for courses for which they do not have the requirements. The admission of the Federal Polytechnic Ilaro is provisional; ANYTIME it is discovered that a candidate registered for a programme for which he/she is not qualified or a candidate is in violation of any of the procedures and rules thereof, the admission would be withdrawn. Venue of the screening exercise is the Polytechnic ICT Unit, West Campus. The entrance examination is computer based. Surveying, Urban and Regional Planning, Surveying and Geoinformatics.